We take great pride in providing the IT services that businesses need to succeed. It is our job to make technology work for your organization, not against it. Many small businesses find it challenging to deploy, maintain, and protect their technology. Whether you’re looking to keep IT costs predictable, avoid unexpected problems, communicate more effectively, or make a plan for business continuity, Denmark Technologies has a solution for you. Streamlined business processes – with a Technology Analysis of your existing infrastructure and advice on how to improve and better secure it. All-inclusive consulting solutions – with leading vendor products, detailed planning and IT Implementation. A strong defense system – our IT Regulation services mean your business can survive whatever comes your way. When you don’t have to worry about your technology, you can focus on running your business. 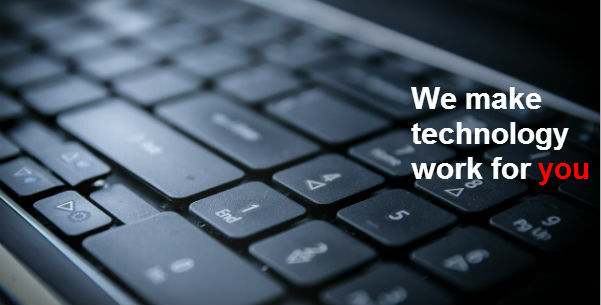 Get more out of your technology with the expert advice at Denmark Technologies.